A very feminine and subtle scarf for every woman. Add this pattern to your everyday styling. 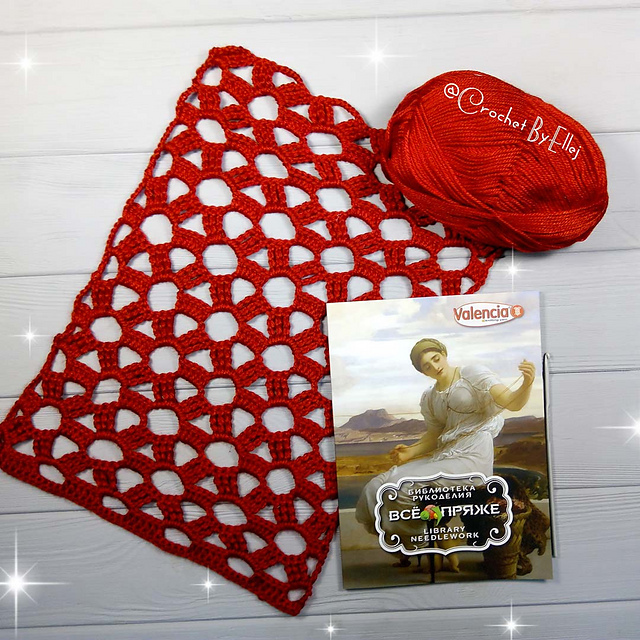 The scarf is made in a very romantic red colour. The scarf is of any size. You can reduce or enlarge the scarf. The scarf has a very cool motif. It is gentle and light. It looks cool to an elegant and sporty style. 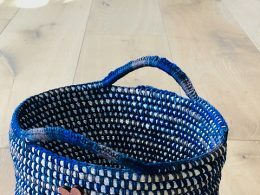 It’s a cool pattern that you can make easily and quickly at any time. The tutorial is available in a video version. It is a free pattern. In the tutorial you will learn how to make a design step by step. Good luck! 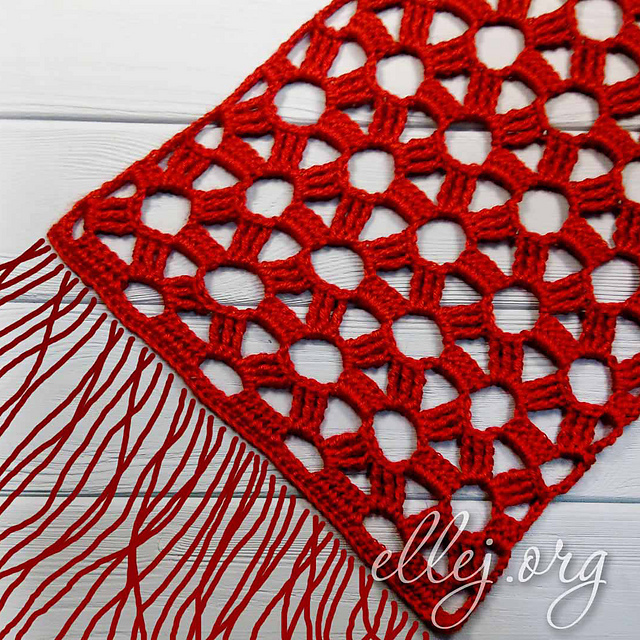 Estrella Scarf Free Crochet Pattern is here.